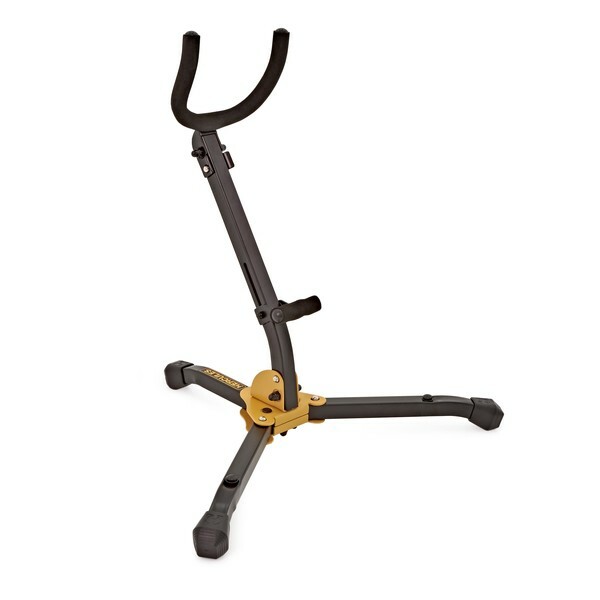 This strong and stable Hercules Saxophone Stand features an adjustable lower rest so can be easily altered to fit either an alto or a tenor saxophone. 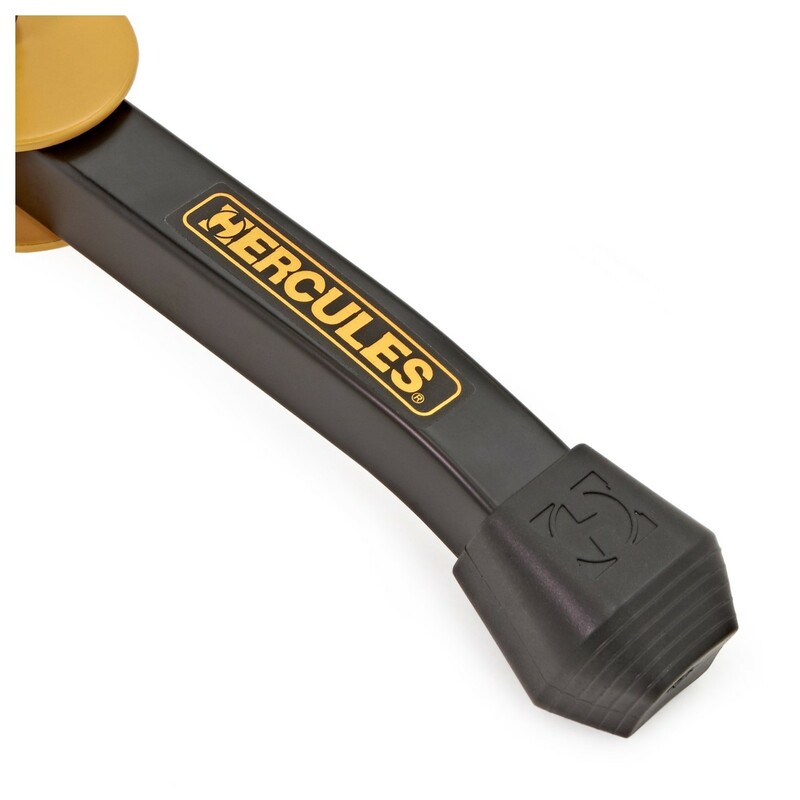 The yoke that supports the bell of the instrument folds away and is covered with a specially formulated foam to protect the finish of your saxophone. One of the stands legs has a threaded peg hole for adding other Hercules instrument pegs to the stand.